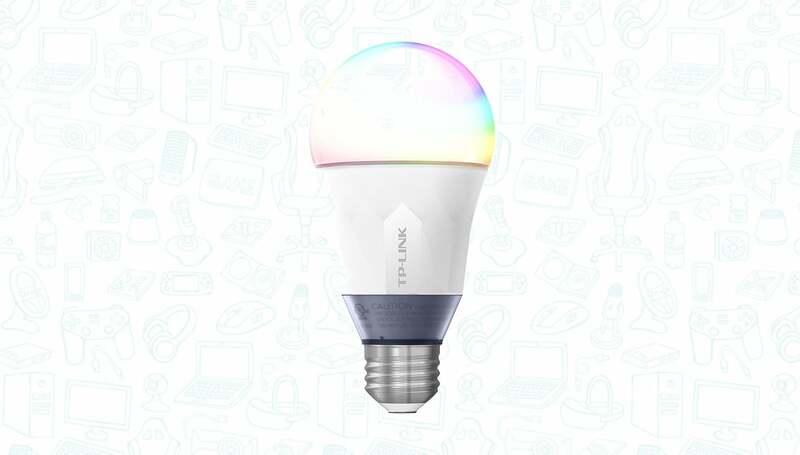 Amazon is offering TP-Link Multicolor Smart Wi-Fi LED Bulb for just $39.99 today, a $10 discount and the lowest price we’ve seen to date. What makes these smart bulbs particularly interesting is the fact that they don’t require a hub, like many other popular bulbs including the Philips Hue. This means that you can buy this bulb, insert it into any lamp or light socket and within minutes be controlling it with your phone or an Echo or Google Home. Each bulb is rated to last nearly 23 years, which means you won’t have to worry much about these things burning out on your anytime soon. It also happens to be about 60W equivalent which means it should be bright enough to light up a good size room pretty well. No coupon code needed, just head over to the link below. Oh, and for more on the connected home, be sure to check out our sister site VoiceControlled.